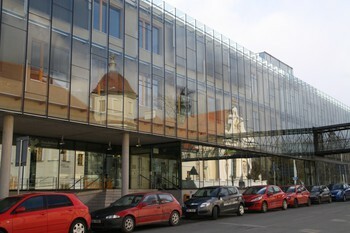 During my studies in Brno I should (and I do sometimes go to faculty and attend lectures there. Sun started to shine, so I took my camera and took some pictures there. Thanks to my friends at my work I also made my first interactive panorama. See it for yourself by clicking on the link below. Last time I wrote I was going last time to visit Alina to Romania. But I had a free weekend, so why not to go again . 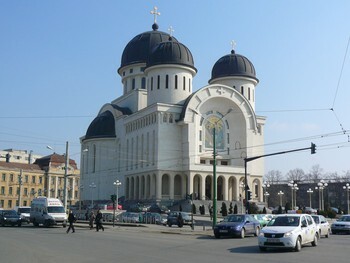 This time we went to Arad, because it is not so complicated to get there for both of us. Of course I again had my McDonald's sessions near Budapest train station, because I had missed my train due to delay . I liked the stay there, we had a lot of fun, visited karaoke with Alina's teacher, hitchhiked to Timisoara to see the movie Alice in Wonderland and also strolled through the city. I think it relly was the last visit to Romania for some time, because Alina is flying home very soon.